SALINA, Kan. – Have you ever wondered what it will cost to live in a senior living community? Which contract is best for your budget, a rental plan or an entrance fee? Can I afford to live in a retirement community? 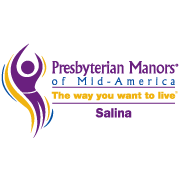 Salina Presbyterian Manor has served Saline County since 1980 with independent and assisted living, nursing home care, services for Alzheimer’s disease and other forms of dementia, and short-term rehabilitation. Learn more at SalinaPresbyterianManor.org. Presbyterian Manors of Mid-America is a 501(c)(3) not-for-profit organization with 17 locations and 2 hospices in Kansas and Missouri. Learn more at PresbyterianManors.org.